Meanwhile, heat 3 tablespoons of olive oil in a large pot or Dutch oven. Add the onions, celery, and carrots and cook over medium-low heat for 10 minutes, or until the onions start to brown. Add the chicken stock, tomatoes with their puree, jalapeños (if using), cumin, coriander, 1 tablespoon salt (depending on the saltiness of the chicken stock), 1 teaspoon pepper, and the cilantro. Cut the tortillas in half, then cut them crosswise into ½-inch strips and add to the soup. Bring the soup to a boil, then lower the heat and simmer for 25 minutes. 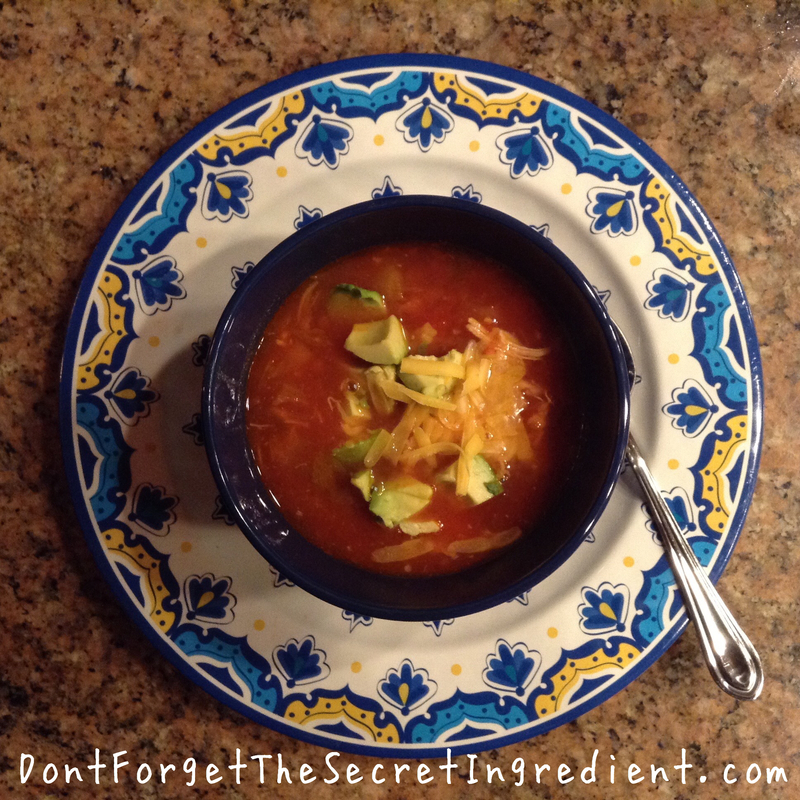 Serve the soup hot topped with sliced avocado, a dollop of sour cream, grated Cheddar cheese, and broken tortilla chips. Note: I found this recipe years ago in my now dog-eared copy of Barefoot Contessa at Home by Ina Garten. Love, love, love her recipes! Learning how to use a new photo app that allows you give your photos a comic effect. Cool huh?